Updated for 2018! Here are the best Gwynnie Bee alternatives that I have foundm, which also coveres women smaller than a size 10! As a young professional these options (alone or combined) are a great way to stay trendy and build my wardrobe without breaking the bank. 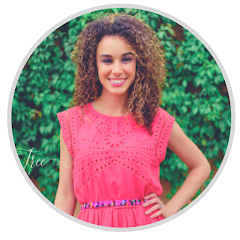 Thanks for reading my blog - I'm all about finding cool new ways to change HOW I do things! And before I go on, you should know that this post contains promo codes and affiliate links, which means I may be compensated for any purchase made through these links. I personally think LeTote is amazing and is a closer alternative to Gwynnie Bee than anything else out there. I wish I had found it sooner... unlimited boxes per month, each containing 5 high-end clothing items that you are encouraged to wear, and they do all the cleaning. I received my first LeTote box recently, and I'm totally in LOVE. I got a few basic seeming pieces, but when I went to work I got more compliments on my style than I ever have before. There is something about higher end items that is a subtle indicator of truly great style. The feeling is so worth it! They have lots of options for how many items you get per month, so that there's something for every budget. I find I can get as many as 4 boxes per month and it's unlimited! I just love it. These are the cheapest of the three, and GREAT for those who prefer even more help selecting items for a specific event, or to address a general wardrobe need. Ah, Stitch Fix - for women’s sizes 0-24W & XS-3X - it's great for that personal touch. You pay a $20 "styling fee" which can then be applied to your order. With this service, you're generally dissuaded from actually wearing items as rentals. . . but since you'll get lots of great stuff in the box, you can try it all on, and choose exactly what you want to keep! $20 off your first box - NO styling fee through my link! Dia & Co is just like Stitch Fix but caters only to plus sizes. I love that they are THE pros of navigating the sizing challenges specific to plus size women. This gives you such an advantage because you know the sizes they're sending you will be flattering. Another thing I love is that they have 2 box types to choose from, the "style" box and the "active" box - so helpful! StitchFix doesn't offer activewear as far as I know, so this is really special. The most expensive option... 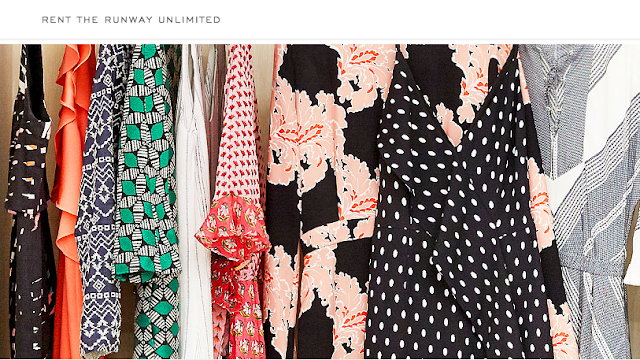 BUT Rent The Runway Unlimited also happens to carry the best designer everything. I'm so so so excited for this, because I've used Rent the Runway for their designer gowns, and I had such a beautifully perfect customer service experience with them. I know that this will be a great experience too. Get 20% off your first order! With PROMO CODE FIRST *AND* When you do it through my link you ALSO get $20 off your subscription, that's right they combine! I really think these are great alternatives to Gwynnie Bee. Have you used, or are you planning on using any of these services? If so, I'd love for you to comment below on your experience!